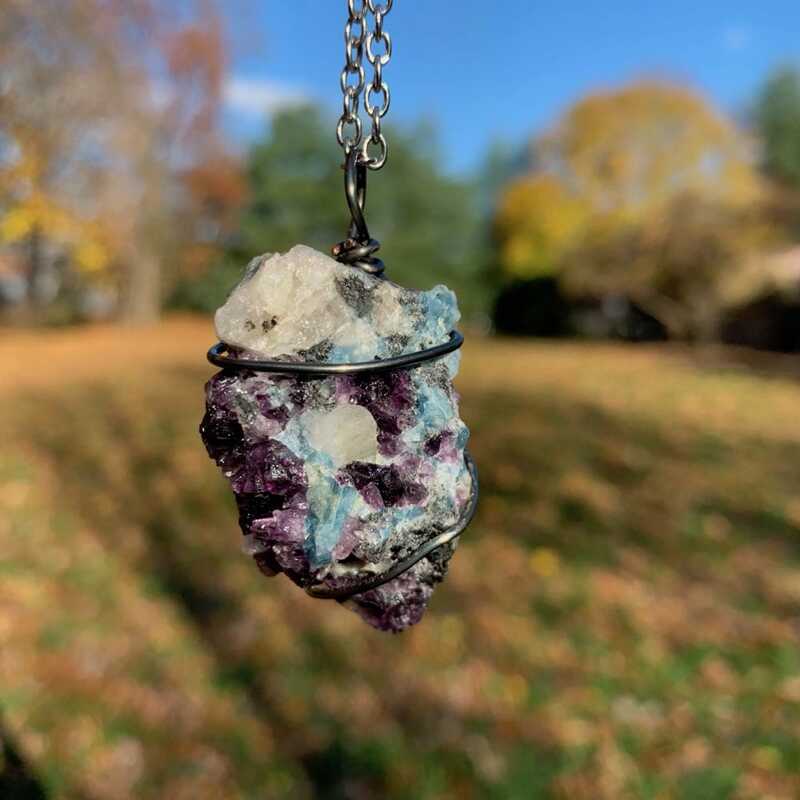 This is an extremely high energy combination stone. Phenacite alone has the ability to raise frequencies, bringing about spiritual awakening as well as energy amplification and alignment. 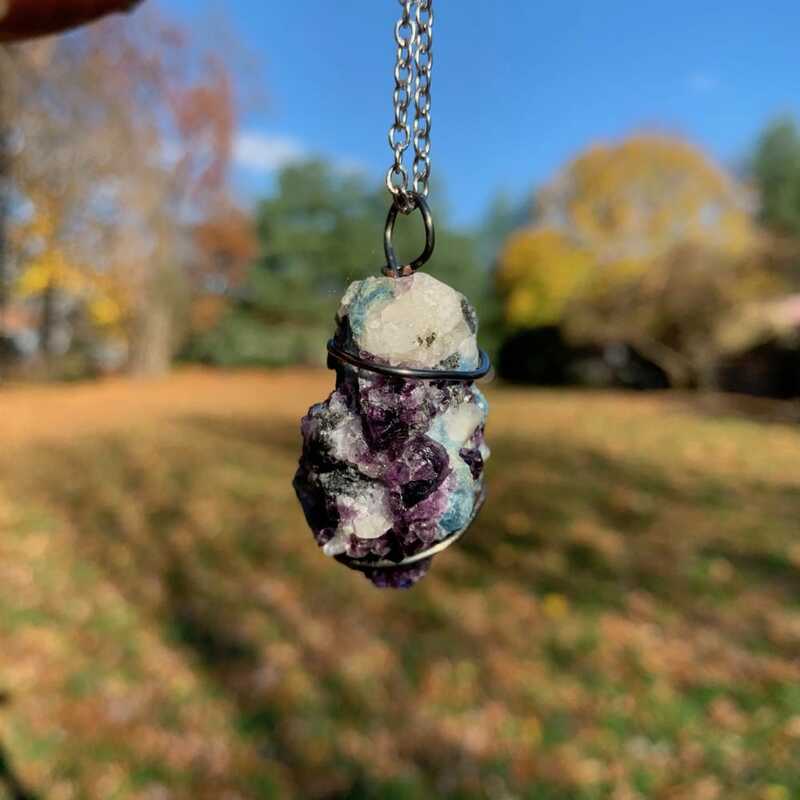 The Fluorite component adds energies of concentration, balance, and mental prowess. The Aquamarine adds great emotional energy and pure expression of one’s true self. 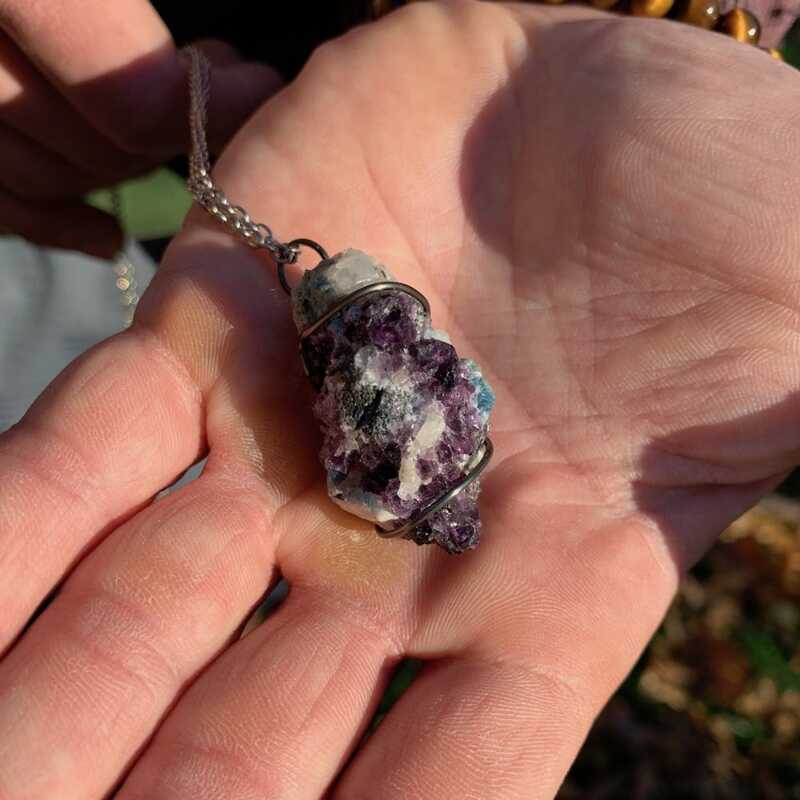 Wearing this piece greatly increases the occurrence and understanding of synchronicities in life and aids in following the highest path for who we truly are.